We've included listings for companies such as Condar and Stellar Hearth Products inside our Gas Logs guide. A division of Big Woods Hearth products, Stellar Hearth Products offers a line of direct vent gas fireplaces and fireplace inserts. Award winning designs include its gas glass log set. Wood, pellet and gas stoves with a traditional "pot belly" style. Thelin's pellet heaters come with with battery back-up circuitry, so they keep running if the electricity fails. With a mission to build a stove pipe thermometer, Condar was born 30 years ago. 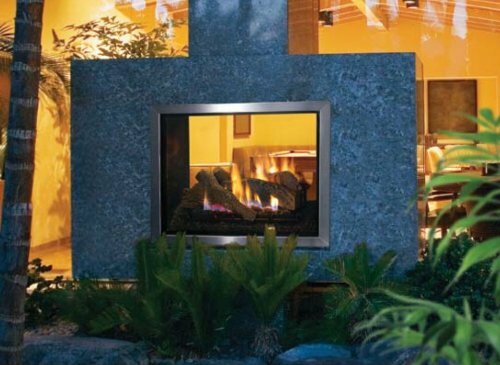 Today the North Carolina company makes a wide range of products for fireplaces and wood stoves as well as patios, including thermometers, replacement catalytic combustors, fireplace screens and more. 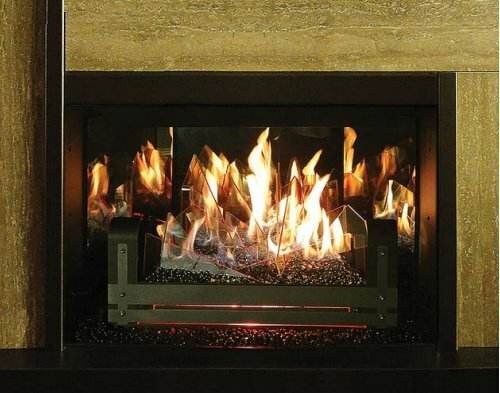 Hearth & Home Technologies is the parent company of a variety of leading brands of hearth products including a full array of gas, electric, and wood burning fireplaces, inserts, stoves, grills, mantels and more. Brands include Heat & Glo, Heatilator, Quadra-Fire and Fireside. The site provides links to separate sites for each brand. In business since 1932, Empire today makes vent-free gas heaters, a complete line of gas-fired log sets and gas fireplaces, plus Broilmaster gas grills. The online arm of a California retailer, this site offers such items as andirons, doorbells & knockers, candelabras, fire jacks, fire pits, bellows, fireplace tool sets, gas log sets, mantels, weathervanes and, of course, fireplaces. Inventors and sellers of decorative fireplace glass -- essentially glass pebbles in a variety of colors that can replace ceramic logs in gas fireplaces. Exclusive American distributor of British Real Flame gas-fueled firebaskets. Available in brass and cast iron, these firebaskets were developed as a fashionable alternative to open wood and coal fires, which were banned in London in the 1960s. Manufacturers of high-end gas log sets. In addition to stock designs, customers can design their own. While company sells through local retailers, it also will sell direct if no dealers are nearby. Based in rural Amish country, Hitzer is a manufacturer of hand-made wood and coal stoves. Of special note are the company's gravity-fed hopper stoves. Available in freedstanding and fireplace insert models, these are self-feeding Anthracite Coal stoves with no moving parts and no need for electricity. This privately held, family-owned business manufactures a full line of gas and wood fireplace inserts, as well as several styles of freestanding gas stoves. A new look for gas fireplaces -- glass logs. See-through fireplace offers a retro look with modern convenience.